A prominent journalist has been brutally murdered and found dead near a hotel in the Jhapa District of eastern Nepal. Yadav Poudel, 39, who covered local news for the Kathmandu-based Avenues TV, the national Rajdhani Daily, and the local Mechi Times was reportedly been beaten and thrown from the hotel roof. Reports say police has arrested several suspects in connection with the killing. The head of the United Nations agency tasked with defending press freedom today expressed condemnation of the killing Mr. Poudel and called for a full investigation into his death. She says it is essential that the motives for the crime against Yadav Poudel be revealed, so that journalists can continue exercising their basic human right to freedom of expression and their professional duties as journalists without fearing reprisals for their work. 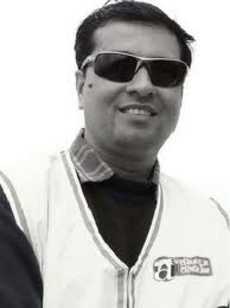 Mr. Poudel is reportedly the sixth journalist to be killed in Nepal since 2008. In June 2011, Deputy Assistant Thomas O. Melia of Bureau of Democracy, Human Rights, and Labor reported that 546 journalists have been killed around the world with complete impunity since 1992. According to Mr. Melia, the Committee to Protect Journalists in its global campaign against impunity has noted that three countries like Russia, Tajikistan, and Turkey are on the list of the top 20 countries that CPJ has recorded with unsolved, or in some instances entirely unaddressed, cases of murdered journalists. In addition, 70 journalists were killed in 2009 – the worst year since record keeping began 30 years ago. In its 2009 report “Attacks on the Press 2009,” the Committee to Protect Journalists reported that 150 journalists are also imprisoned. The group stated that journalists are vulnerable to oppression due to leaders attempting to hide incriminating information and make sure it never hits the presses. BBC News and the report also state that a 31-journalist massacre in the Philippines tipped the scale to overtake the previous record of 67 deaths in 2007. China remains the leader of jailed journalists with 24 currently incarcerated. This is familiar news, as they have been the front runner in that unfortunate category for the past 10 years. UNESCO is the only UN agency with a mandate to defend freedom of expression and press freedom.